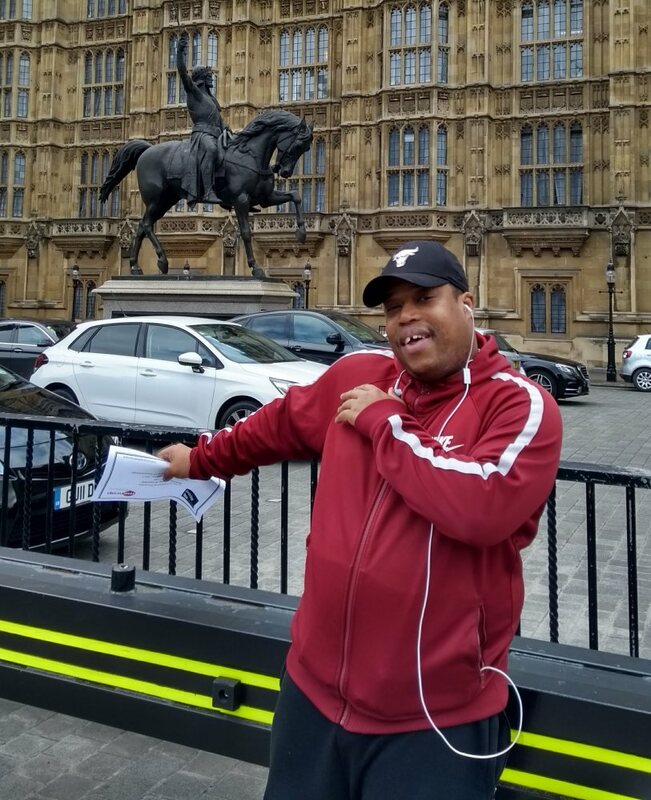 Last week Rachel (Customer Engagement Manager) and Nathan, an outreach customer, had a day out at the Palace of Westminster to join the All Party Parlimentary Group (APPG) on learning diabilities as they talked about how to make voting more accessible.We heard from Chris Skidmore MP (Minister for the Constitution), Peter Stanyon (from the Association of Electoral Administrators) and Luke, a young man with learning disabilities who shared his experience of voting in the general election. Nathan said, "My favourite part was when we asked questions, it was really funny when someone asked them why they speak in code instead of plain english!" There were lots of questions about having information available in easy read versions and suggestions of how they could make it easier to register to vote. Nathan was surprised to hear that he could have someone come with him to support him to vote, and lots of people agreed that more people should be told about it! The government has now started a call for evidence about people's experiences of accessible (or not!) voting, which Advance will be responding to. You can find out more information about it here.